2. Database Systems: Design, Implementation, & Management by Carlos Coronel – Steven Morris. 3. Applied Statistics and Probability for Engineers by Douglas C. Montgomery – George C. Runger. 4. Control Systems Engineering by Norman S. Nise. 5. Manufacturing Engineering & Technology (7th Edition) by Serope Kalpakjian – Steven Schmid. 6. Machinery’s Handbook, 29th by Erik Oberg. 7. Information Technology Project Management, Revised by Kathy Schwalbe. 8. Manufacturing Processes for Engineering Materials (5th Edition) by Serope Kalpakjian – Steven Schmid. 9. Fundamentals of Modern Manufacturing: Materials, Processes, and Systems by Mikell P. Groover. 10. DeGarmo’s Materials and Processes in Manufacturing by J. T. Black – Ronald A. Kohser. 11. Statistical Quality Control by Douglas C. Montgomery. 12. Principles of Operations Management (9th Edition) by Jay Heizer – Barry Render. 13. Introduction to Management Science (12th Edition) by Bernard W. Taylor III. 14. Engineering Economy (16th Edition) – Standalone book by William G. Sullivan – Elin M. Wicks – C. Patrick Koelling. 15. MIS5 (with CourseMate, 1 term (6 months) Printed Access Card) (New, Engaging Titles from 4LTR Press) by Hossein Bidgoli. 16. Product Design and Development, 5th Edition by Karl T. Ulrich – Steven D. Eppinger. 17. Cradle to Cradle: Remaking the Way We Make Things by Michael Braungart – William McDonough. 18. Programmable Logic Controllers by Frank D. Petruzella. 19. Statistics for Engineers and Scientists by William Navidi Prof..
20. Machines of Loving Grace: The Quest for Common Ground Between Humans and Robots by John Markoff. 21. System Dynamics (4th Edition) by Katsuhiko Ogata. 22. Feedback Control of Dynamic Systems (7th Edition) by Gene F. Franklin – J. David Powell – Abbas Emami-Naeini. 23. Fundamentals of Engineering Economics (3rd Edition) by Chan S. Park. 24. Project Management: A Systems Approach to Planning, Scheduling, and Controlling by Harold Kerzner. 25. Engineering Economy by Leland T Blank Professor Emeritus – Anthony Tarquin. 26. The Buffalo Creek Disaster: How the Survivors of One of the Worst Disasters in Coal-Mining History Brought Suit Against the Coal Company- And Won by Gerald M. Stern. 27. Construction Planning, Equipment, and Methods by Robert L. Peurifoy – Clifford J. Schexnayder – Aviad Shapira – Robert Schmitt. 28. Introduction to Mathematical Programming: Operations Research, Vol. 1 (Book & CD-ROM) by Wayne L. Winston – Munirpallam Venkataramanan. 29. Electronic Commerce by Gary Schneider. 30. Beyond Design: The Synergy of Apparel Product Development, 3rd Edition by Myrna B. Garner – Sandra Keiser. 31. Engineering Statistics by Douglas C. Montgomery – George C. Runger – Norma F. Hubele. 32. Design and Analysis of Experiments by Douglas C. Montgomery. 33. Theory and Design for Mechanical Measurements by Richard S. Figliola – Donald E. Beasley. 34. Make: Electronics (Learning by Discovery) by Charles Platt. 35. Operations Management: Processes and Supply Chains (10th Edition) by Lee J. Krajewski – Larry P. Ritzman – Manoj K. Malhotra. 36. Basics of Engineering Economy by Leland T Blank Professor Emeritus – Anthony Tarquin. 37. MIS4 (with CourseMate Printed Access Card) (New, Engaging Titles from 4LTR Press) by Hossein Bidgoli. 38. Introduction to Emergency Management, Fifth Edition by George Haddow – Jane Bullock – Damon P. Coppola. 39. Principles of Information Systems by Ralph Stair – George Reynolds. 40. Simulation with Arena by W. David Kelton – Randall P Sadowski – Nancy B. Zupick Arena Requirements Analyst. 41. Chemical Engineering Design: Principles, Practice and Economics of Plant and Process Design by Gavin Towler Ph.D. – R K Sinnott. 42. Systems Engineering and Analysis (5th Edition) (Prentice Hall International Series in Industrial & Systems Engineering) by Benjamin S. Blanchard – Wolter J. Fabrycky. 43. The LEGO MINDSTORMS EV3 Discovery Book: A Beginner’s Guide to Building and Programming Robots by Laurens Valk. 44. Engineering Economic Analysis by Donald Newnan – Ted Eschenbach – Jerome Lavelle. 45. Construction Management Fundamentals (McGraw-Hill Series in Civil Engineering) by Kraig Knutson – Clifford J. Schexnayder – Christine M. Fiori Doctor – Richard Mayo. 46. Systems Analysis and Design in a Changing World, 6th Edition by John W. Satzinger – Robert B. Jackson – Stephen D. Burd. 47. Designing with Type, 5th Edition: The Essential Guide to Typography by James Craig – Irene Korol Scala. 48. Introduction to Materials Science for Engineers (8th Edition) by James F. Shackelford. 49. The Six Sigma Handbook, Fourth Edition by Thomas Pyzdek – Paul A. Keller. 50. Facilities Planning by James A. Tompkins – John A. White – Yavuz A. Bozer – J. M. A. Tanchoco. 51. Rise of the Robots: Technology and the Threat of a Jobless Future by Martin Ford. 52. Quality Improvement (9th Edition) by Dale H. Besterfield Ph.D. P.E..
53. Modern Control Systems (12th Edition) by Richard C. Dorf – Robert H. Bishop. 54. Introduction to Operations Research with Access Card for Premium Content by Frederick S. Hillier. 55. Critical Chain by Eliyahu M. Goldratt. 56. Introduction to Human Factors Engineering (2nd Edition) by Christopher D. Wickens – John D. Lee – Yili Liu – Sallie Gordon-Becker. 57. Database Systems: Design, Implementation, and Management (with Premium WebSite Printed Access Card and Essential Textbook Resources Printed Access Card) by Carlos Coronel – Steven Morris – Peter Rob. 58. Woodworking Basics – Mastering the Essentials of Craftsmanship – An Integrated Approach With Hand and Power tools by Peter Korn. 59. Industrial Safety and Health Management (6th Edition) by C. Ray Asfahl – David W. Rieske. 60. Operations Research: Applications and Algorithms (with CD-ROM and InfoTrac) by Wayne L. Winston. 61. Commercial Aviation Safety, 5th Edition by Clarence C. Rodrigues – Stephen K. Cusick. 62. Modern Control Engineering (5th Edition) by Katsuhiko Ogata. 63. Introduction to Probability and Statistics: Principles and Applications for Engineering and the Computing Sciences by J. Susan Milton Professor Emerita – Jesse C Arnold Professor Emeritus. 64. Modern Welding by Andrew D. Althouse – Carl H. Turnquist – William A. Bowditch – Kevin E. Bowditch – Mark A. Bowditch. 65. Management Information Systems by Ken J. Sousa – Effy Oz. 66. Human Factors In Engineering and Design by Mark S. Sanders – Ernest J. McCormick. 67. Introduction to Linear Regression Analysis by Douglas C. Montgomery – Elizabeth A. Peck – G. Geoffrey Vining. 68. Banks: Discre Event System Simula _5 (5th Edition) by Jerry Banks – John S. Carson II – Barry L. Nelson – David M. Nicol. 69. The Toyota Way Fieldbook by Jeffrey Liker – David Meier. 70. Ethics in Information Technology by George Reynolds. 71. Statistics for Engineers and Scientists by William Navidi. 72. Feedback Control of Dynamic Systems (6th Edition) by Gene F. Franklin – J. David Powell – Abbas Emami-Naeini. 73. Print Reading for Industry by Walter C. Brown – Ryan K. Brown. 74. The Measure of Man and Woman: Human Factors in Design by Alvin R. Tilley – Henry Dreyfuss Associates. 75. Schaum’s Outline of Engineering Economics by Jose A. Sepulveda. 76. Programmable Logic Controllers (2nd Edition) by James A. Rehg – Glenn J. Sartori. 77. Applied Statistics and Probability for Engineers by Douglas C. Montgomery – George C. Runger. 78. The Glass Cage: Automation and Us by Nicholas Carr. 79. Concepts of Database Management by Philip J. Pratt – Joseph J. Adamski. 80. Factory Physics by Wallace J. Hopp – Mark L. Spearman. 81. Making It: Manufacturing Techniques for Product Design by Chris Lefteri. 82. A Guide to SQL by Philip J. Pratt – Mary Z. Last. 83. Information Technology Project Management (with Microsoft Project 2010 60 Day Trial CD-ROM) by Kathy Schwalbe. 84. Oracle 11G: SQL by Joan Casteel. 85. Manufacturing Planning and Control for Supply Chain Management by F. Robert Jacobs – William Lee Berry – D. Clay Whybark – Thomas E Vollmann. 86. Systems Architecture by Stephen D. Burd. 87. Shop Reference for Students & Apprentices by Christopher McCauley. 88. Concepts in Enterprise Resource Planning by Ellen Monk – Bret Wagner. 89. Arduino Workshop: A Hands-On Introduction with 65 Projects by John Boxall. 90. 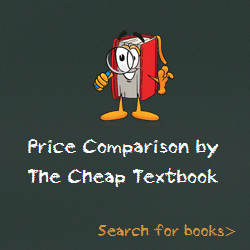 Contemporary Engineering Economics (5th Edition) by Chan S. Park. 91. Fundamentals of Information Systems by Ralph Stair – George Reynolds. 92. Operations Research: An Introduction (9th Edition) by Hamdy A. Taha. 93. Introduction to Management Science (11th Edition) by Bernard W. Taylor III. 94. Theory and Design for Mechanical Measurements by Richard S. Figliola – Donald E. Beasley. 95. Fundamentals of Engineering Economic Analysis by John A. White – Kellie S. Grasman – Kenneth E. Case – Kim LaScola Needy – David B. Pratt. 96. Safety and Health for Engineers by Roger L. Brauer – Roger Brauer. 97. Understanding Wood: A Craftsman’s Guide to Wood Technology by R. Bruce Hoadley. 98. Strategies for Creative Problem Solving (2nd Edition) by H. Scott Fogler – Steven E. LeBlanc. 99. Manufacturing Processes for Design Professionals by Rob Thompson.